The carnitas at Casa Diaz has left an indelible impression on this taco reporter. 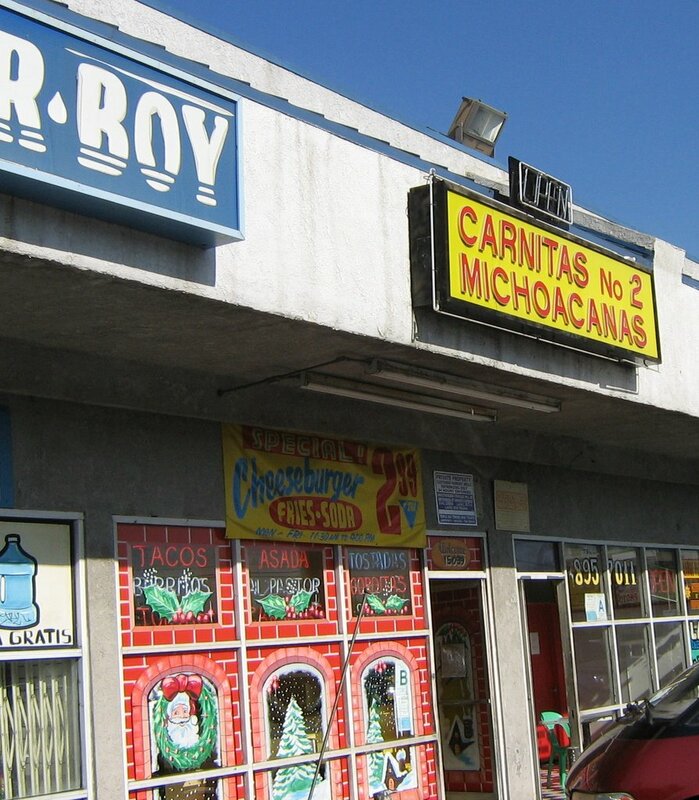 In order to put this in perspective I decided to head to Carnitas Michoacanas in Panorama city. 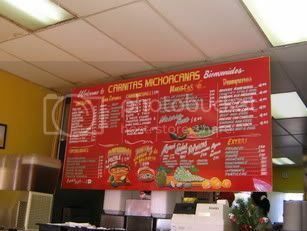 Actually I was already in Panorama city and with my impeccable taco vision noticed Carnitas Michoacanas out of the corner of my eye. There were a couple lunch patrons enjoying tortas and bowls of pozole but I was here for the tacos. I ordered two carnitas and two asada tacos.Any resteraunt with carnitas in their name must know a thing or too about shredded pork and I wasn't disapointed. The carnitas doesn't touch the originality and spice of Casa Diaz but it was moist and juicy enough to be enjoyable. No frills here , just your standard pork flavor but with the finely chopped onions and spicy salsa roja these tacos were pretty tasty. The carne asada had alot of lime flavor to it. 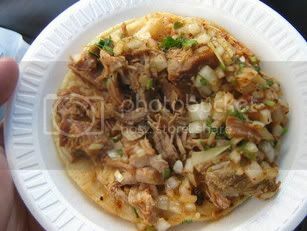 The braised meat was tender and there was no gristle anywhere on the taco which is a major plus. There was also alot of meat on the taco. 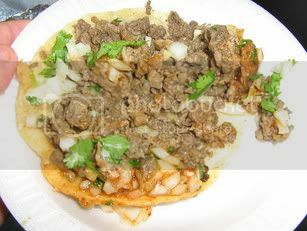 Some places load up their tacos with onions and cilantro but these tacos were packed with moist tender meat. Salsa can make or break a taco and the salsa roja here really added to the taste and spice of the tacos and made me reach for a cold bottle of coke. The salsa reminded me of the salsa I had down the street at El Rincon Taurino. There were no bulls heads or matadors on the walls here but I wouldn't have been offended if there were. 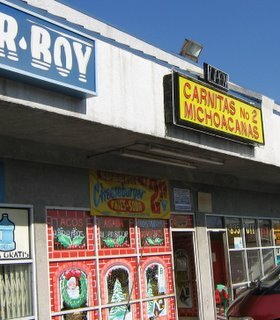 These were good tacos and if you live nearby I suggest checking out Carnitas Michoacanas.